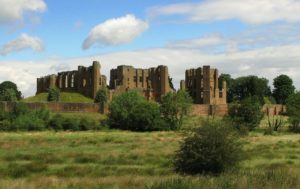 Kenilworth Castle: If you are interested in a tour of England then you must make sure you find out places which have great importance and are beautiful at the same time. England has lots of castles which were either built during the castle building era or after that. Most of these castles were used during the battles that were fought in England. These castles are always a treat for the eyes. Kenilworth Castle is one of the popular castles which are located in Kenilworth, Warwickshire in England. This castle was built during the medieval period. It is also popular because of the extensive war defenses that it provided. Other than this, it is also popular for some other historical events. It has Tudor buildings as well as gardens. This place was also visited by Queen Elizabeth I. The Kenilworth castle was built in the year 1140 and is actually located on the Warwick road. In the beginning, this castle was actually built as a ‘motte and bailey’ but it was fortified later. Later on, the castle was upgraded by King John. He constructed an outer wall which had fortified towers at regular intervals. Other than this, a dam was also constructed and it almost became a small lake inside the area of the Kenilworth castle. So if you are going on a tour of England make sure you never miss this kind of castles. It is very important to know the timings when this castle is open for the tourists. The time usually varies with the months. Sometimes it is open from 10 AM to 5 PM while sometimes it is open from 10 AM to 6 PM. The castle is usually closed during the Christmas that is from 24 to 26th December and on the 1st of January. Other than this, you must also be interested in the price of admission. For adults, it is 5.90 pounds and for children, it is 3 pounds. If you are getting a family ticket then you need to pay 12.40 pounds. 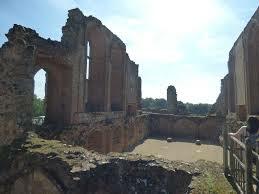 In the center of the Kenilworth castle, you will find a great hall.